It only happens once a year. Make their birthday special by sending this gift to wish them a Happy Birthday! 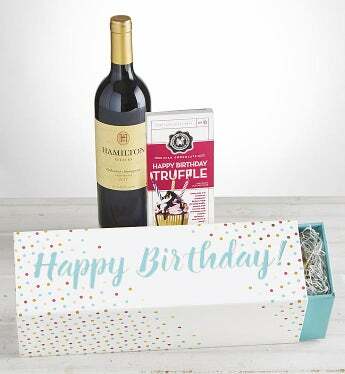 This fun keepsake slider box is filled with Hamilton Cabernet Wine and paired with a Chocolate Chocolate Chocolate® chocolate bar. This birthday gift will surely put them in the mood to celebrate!